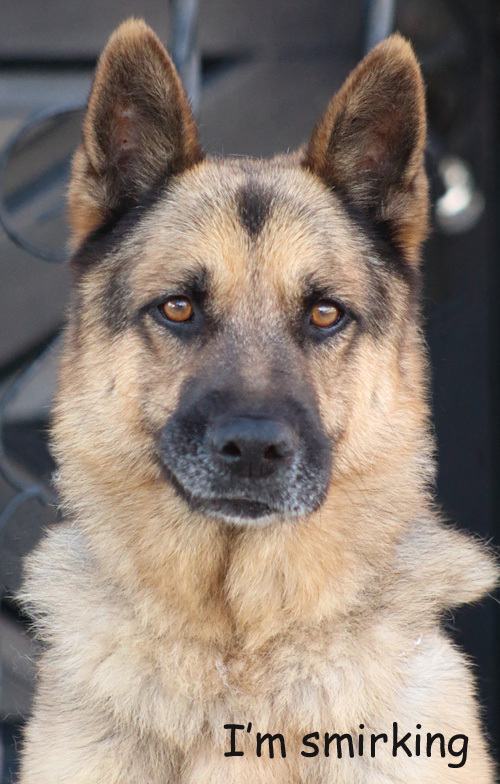 Chance von Coburg is a beautiful 3-4 year old German Shepherd. A classically handsome boy, Chance’s enthusiasm is contagious when he realizes he is going for a walk. He can hardly contain himself as he ventures forth. Once he is exercised and comfortable with you, he is a sweet, loving boy who likes to sit by your side and whisper sweet nothings into your ear. His spirt of adventure wants to accompany you on hikes and adventures. It would appear that, in his previous life, Chance lacked socialization with other dogs. He is working on his manners around other dogs and will benefit from an experienced owner who will continue this training -- a great start would be the free group obedience session that comes with his adoption. This boy can be transformed to a mannerly gentleman if you’ll just take a chance on Chance.